UPDATE: Now closed to solo Follows. To manage ratios and ensure that pre-registered attendees have the best experience, we are not able to accept solo Follows on a drop-in/at-door basis. Solo Leads, and Follows with Leads may drop in at the door. Join us THIS WEEKEND for 6 hours of workshops, 2 dance parties, and private lessons. 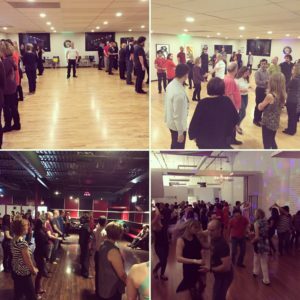 This is our third installment of the West Coast Swing Musicality Workshop Weekend in Ottawa! You do NOT have to have taken the Musicality workshops in October 2016 and March 2017 to enjoy this weekend. But, you DO need to be comfortable with your 6-count and 8-count WCS basics.